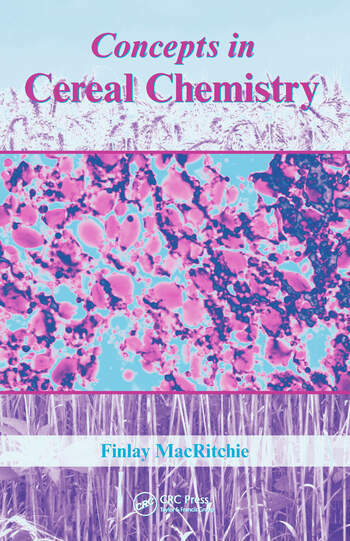 Concepts in Cereal Chemistry stimulates critical thinking by emphasizing the important concepts related to the science. 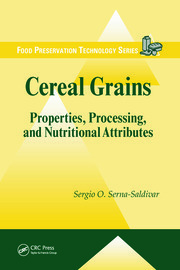 Written by distinguished researcher and teacher Dr. Finlay MacRitchie, this compact and reader-friendly book focuses mainly on cereal chemistry, but also incorporates relevant theory from the basic sciences, such as physics and genetics. 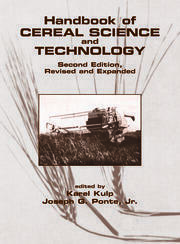 The book discusses milling and some of the sciences that are relevant to wheat dry milling. It explains how to measure the efficiency of the dry milling process and provides explanations for grain hardness variation. The book also looks at the composition and structure of dough and how this determines the performance of a baked aerated product. It then covers dough rheology and some important aspects of processing. Next, the book explores cereal shelf life and the well-known phenomenon of bread staling and its underlying causes. Coverage then shifts to proteins and the relationship between cereal composition and functionality. 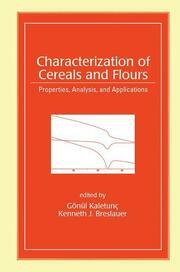 A discussion of strategies to manipulate end-use properties is followed by chapters on non-wheat cereals and health-related aspects of cereals. Suggested solutions to end-of-chapter questions and exercises round out the book’s solid coverage. These solutions require critical thinking and, in some cases, searches of the literature. Demonstrations are included to further illustrate principles. This well-organized resource provides students and researchers in both academia and industry with the information they need to tackle problems likely to arise in cereal research.